If you are viewing this website offline from our GG Data DVD, please go to the "2. Film Archive" folder to watch videos. 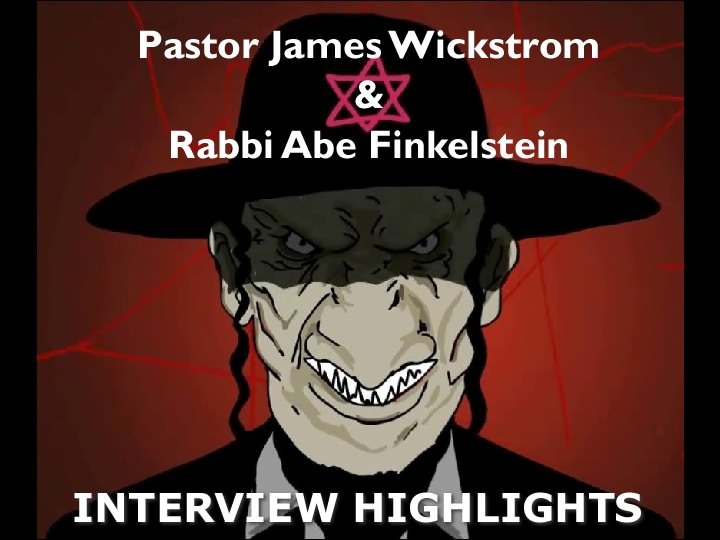 Here’s an epic 24 minutes of highlights from the infamous radio interview between Pastor James Wickstrom and Rabbi Abe Finkelstein which Peggy Star diligently cleaned up and set to video. The arrogant jewish rabbi shares the raw truth about communism, wars, money, media, religion, the jewish Talmud and child sacrifice. EVERYONE YOU KNOW MUST SEE THIS SHORT AND SHOCKING FILM. I’ve heard this before but the redo is excellent! Very well done, especially the McDonalds part. It’s so hard to believe that you know it’s true!